All backpackers know just how important neck gaiters are. Keeping warm while out in the cold is very vital to your health. 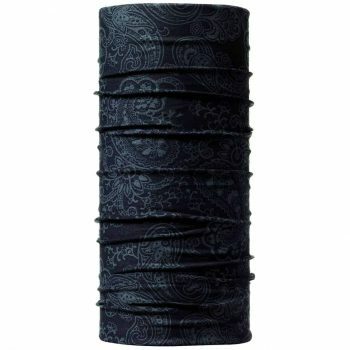 Neck gaiters help to keep your neck warm in the cold climate. Most people have scarves as well as balaclavas which serve the purpose. However, what matters most is that the neck is well protected. Finding the best neck gaiter will ensure your neck is fully covered to curb the cold even in ordinary daily life. Exposing your neck to the elements can lead to irritations such as sunburn and windburn which when they gang up with the cold could lead to some serious skin irritations. Gaiters will bring in the required level of comfort as well as protection that you need. Truth is that you will find a number of gaiters out in the market but unfortunately people make the wrong choices. You should make an informed decision when shopping for a neck gaiter. Often neck gaiters are made of polyester fleece which is a material that leaves you dry and warm. The material of your gaiter should not lose its elastic nature and the gaiter should stay in place. It should also remain permanently stretched to fit the contours of your body. Also go for a gaiter with a longer front than back as this will give most coverage and continue to fit well around the neck and even inside the jacket. Other gaiters are enhanced with cinch cord used to make the gaiter tight around the neck to keep the heat locked in. We have sampled some of the best gaiters available in the market and with the information shared you will be able to make informed choices. This is a very important feature because you do not want to go home with a gaiter that fits loosely or one that is too tight. A wrong fitting gaiter will make your entire experience in the wild terrible because your comfort will certainly be compromised. Before making any purchase decisions, try the neck gaiter you want to buy to find out whether it fits or not. Once you find the perfect fit you will be in a position to enjoy comfort as you go about your business. Another factor to consider with regards to fitness is the material used. Confirm whether the material used can easily stretch or not. If you are still not sure about your perfect fit, always feel free to make inquiries from the sales attendant in the store you are buying from. In the event the place you are planning to explore is wet, snowy or muddy you should go for a neck gaiter that will assure you of maximum weather resistance. Weather resistance means that it is wind resistant as well as water resistant. This important feature will ensure you keep warm throughout the cold weather. A neck gaiter that is weather resistant does not only ensure you are warm in the cold weather but it also prevents you from getting any infections. This is not just a matter of concern when shopping for any other clothe but also for gaiters. Having the right that fits well and whose material does not affect your skin will assure you of total comfort. Breathability means going for a gaiter that will give room for air circulation right around your neck. Another factor that detects the comfort of a neck gaiter is the material used to make the gaiter. There are other kinds of neck gaiters made with a double weave stretch fabric that is highly breathable. With such gaiters on, you will not feel sweaty even when running on a hot desert trail. Go for gaiters with moisture wicking ability to ensure you remain dry and comfortable. It is not easy to come across a neck gaiter that is not stiff or even one that leaves you with exuberating heat around your neck on sunny days while on the glacier or in the jungle. But thanks to the eVent material on gaiters is very supple and breathable and allows you to remain comfortable even when the weather warms up during the day. Most gaiters are made in such a manner that they comfortably fit your neck when worn so as to keep your neck warm all the time. 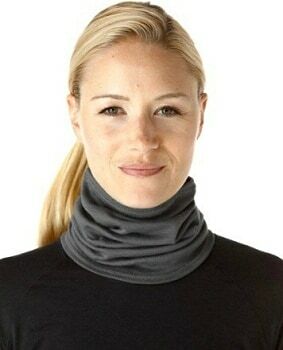 This is to say that you should not go for a saggy fitting neck gaiter but one that has a perfect fit. A lose one will not fully protect you but will only hang around the lower region of your neck making that particular region over heated. A tight one will not give you enough room for comfort and is likely to bring about skin rushes due to the high degree of heat. To find your perfect fit, experiment with several gaiters until you find one that allows you to comfortably move your neck with ease. It is only normal to want to have items that will last and stand the test of time. The thought of buying something today and it spoiling tomorrow is like watching your money going down the drain. We all want value for our money and that is what durability is all about. Go for a gaiter whose stitches will not start running after a few uses but one that will last even after several uses. Compromise on durability at your own cost as the effects of cold will definitely not be kind on you while out in wild. Do not compromise durability for anything as it is a critical feature not just for neck gaiters but also for any other item. Neck gaiters with good abrasion resistance offer high durability to prevent your neck gaiter from tearing in the event it catches an obstacle along the way. One with low abrasion resistance can only be used to keep debris out as it does not offer as much durable protection when compared to others. People today want to go light on everything which is unfortunate at times because often you find that usefulness and durability is sacrificed for weight. A gaiter should not be so thick that it gives a huge load to the neck neither should be so light that it no longer serves its purpose. There is lighter material technologies that offer a well made as well as long lasting product whose weight will not bring you down. With these kinds of gaiters, however, you might deep a little deeper in your pocket. Although price is an important aspect that should be considered all the time, high price will not always mean high quality and vice versa. Gaiters are important investments that should be highly considered before making any purchase decision. Check out reviews such as this and you will certainly get a good neck gaiter that goes at an equally good price. If you are looking for an exceptional and comfortable buff then you just hit jackpot. The Buff Original Multifunctional Headwear is a versatile neck gear more than 20 different ways depending on the activity. It can be used as a mask, headgear, headband, wristband, pony tail holder, neck protector and the list goes on. Worry not about skin irritation as this neck gaiter is seamless so nothing will rub around your neck to cause irritation. The polyester material used offers great comfort as it is not itchy. They also come in one size that can fit anybody thanks to the fact that they have a slight stretch. The performance proven multifunctional headgear dries fast, is wind resistant, has no odor thanks to the polygenic fabric treatment and also wicks away moisture. This neck gaiter provides optimal performance, protection, personalized style and is a perfect fit. You be sure to beat the elements while at the same time look stunning and outstanding with this neck gear. If you do not like fighting with scarves, the Smartwool Merino 250 Neck Gaiter will save you the drama. Simply pull it onto your neck and forget about your neck feeling cold. In extremely cold weather conditions, you can fully pull it down your neck and up over your mouth or nose. The 100% merino wool gaiter made from NTS midweight fabric is soft, dry and has a comfy feeling and thus allowing you to enjoy your adventure without worrying about cold harsh conditions. Thanks to the structure of the wool fiber properties, this neck gaiter is naturally moisture as well as dirt repellent. Thanks to the fact that it is made of 100% merino wool, you can be sure that the material will last longer and give you value for your money. The fabric of the neck gaiter is also versatile and can be used in several ways depending on your activity and creativity. The presence of Keratin in the wool makes the gear elastic and strong. It also makes the wool to be naturally water repellant. As a backpacker, not having one of this is huge minus and your neck will suffer from irritations from all manner of elements. The Original Turtle Fur Fleece Neck Gaiter has specially been made with top most technology to provide you with luxury, warmth and comfort. The turtle fur acrylic fleece goes through a unique process and thus the obvious reason for its incredible loft and a plush luxurious feel. Even more interesting is the fact that it has unsurpassed heat retention leaving comfortable throughout. The neck gaiter is able to dry very fast and has incredible moisture wicking properties. It is durable and will give you an easy time washing because it is machine washable. It is also long enough so you can pull it over your nose and mouth for that extra chilly day. An experience with this one and your search for neck gaiters will be over. 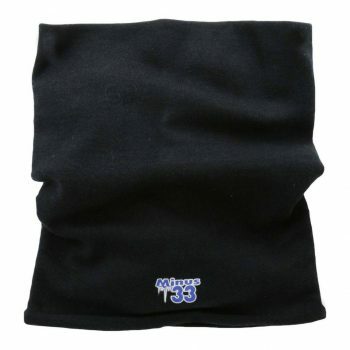 If sassy and trendy are the words that define you then you are going to love this neck gaiter. It has a specially contoured style that perfectly fits the shape of your neck. The Seirus Innovation Polar Scarf has been made with a very soft material leaving your skin feeling comfortable and your skin irritation free. The polar has a nice design and truth is that there are very of these in the market. You are going to love how it has a velcro. This kind of neck gaiters can be pulled up or even pushed down without bunching up uncomfortably or messing up your hair and still keep you warm. It comes in medium and large size and medium size so that you go for the one that gives you the perfect fit. It is also breathable and can be easily carried around. If you are thinking of buying someone a gift for the winter or anyone who lives in cold places, this gaiter will make the perfect gift. Do you have a terrible experience with neck gaiters? 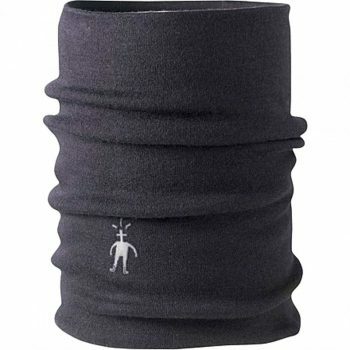 Have you tried this Icebreaker Flexi Chute Neck Gaiter? It works to keep you warm in all four seasons. If you like you can leave it bunched comfortably around your neck and only pull it up over your nose and mouth when you really need it. 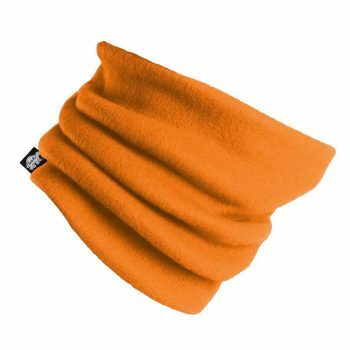 With this neck gaiter, there is no need to pull off your hat first or even undo anything, simply pull up the top edge and you are good to go. This icebreaker gaiter is made of 100% merino wool and as such provides you with comfort thanks to its soft and non itchy nature. 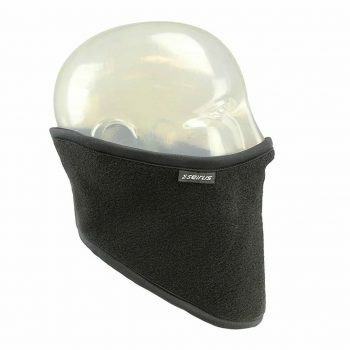 With this gaiter, as you go about carrying out exercises and hiking and the gaiter over your nose and mouth, you will find that the naturally water resistant wool ones such as this are more breathable and comfortable than synthetic ones in reducing wet respiration and crystals against your skin. The Minus 33 Merino Wool Neck Gaiter controls the amount of moisture that is on your skin and this is done by absorbing any kind of liquid on your body surface. The moisture that has been absorbed by the wool then evaporates out of the material and into the atmosphere. With little or no moisture on the fabric, the neck gaiter does not produce any odor and thus leaving you totally comfortable. Forget about smelling horribly as the wool fibers in this gaiter naturally reject any bacteria in moisture or even sweat because it is absorbed away. 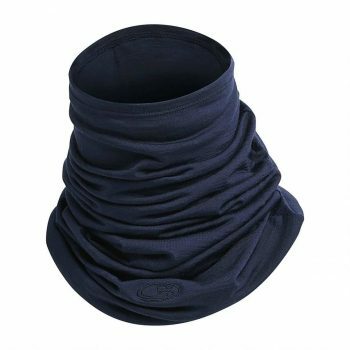 Another feature that makes this neck gaiter to stand out is its fire resistant ability. The wool insulates against high temperatures and in case it catches fire, it self extinguishes. Merino wool does not stick to the skin when it burns as is often the case with synthetic fabrics. Not only does the REI Co-op Merino Wool Liner Neck Gaiter bring out elegance but also keeps you warm and protects you from the elements. It is made from 100% merino wool which gives you total comfort. The material does not itch and is water resistant. The merino wool is moisture wicking and so ideal for next to skin neck protection. You can be sure that it will perform highly even in highly cold and harsh conditions. It is durable and breathable and make you outstanding in all situations. Scarves and other neck gears may be uncomfortable especially if you are doing other activities such hiking and riding. You will keep on fighting with the gear and likely lose focus and not attain your ultimate purpose. This is where neck gaiters come in handy. They are comfortable to wear and give an easy time to do whatever you want to do. They keep you warm and protect you from the elements. Has this review been insightful? Do you have anything to share with us and make this review even better? Why not share with us on the comments section below? We will be glad to hear from you.